Anyone know who this is in the picture? One of the youth team, cleaning the senior pro's boots. It actually looks like a young Paul Dalgleish, but he was only a youth player in 96/97 ish, and by then Souness had done away with the boot room, hadn't he? Some great photos and they remind me of my bedroom wall when i was a wee boy as i had most of these up there. Are there any written/photographic biographies charting the development and history of Anfield stadium? Jockey being talked through the tricks of the trade? Gee, I've never seen this pic before. It's a beauty. I know this is a LFC historical photo thread however this post, I thought it would be the most apt place to share some images of artwork that we have been slaving over for a few years. It's been such a labour of love/ passion project that we're very proud of. It is a painting done in oils which include 96 of our best ever players that graced the hallowed turf of Anfield in our last 125 years. It also includes our founder and our managing royalty. Well done fellas, hats off to you. Where's it going to reside? We were hoping to have it hung at the club or museum in some capacity however they knocked back our overtures. We're not sure exactly what we will do with it at the moment. We do hope to exhibit it when the club, former players do visit our fair shores. 5Times do visit quite often. Fowler, James, McAteer, Hamann, McManaman, Harkness loved it when they saw it, and we hope to keep exhibiting it for as while. Looks like Albert Stubbins and maybe Balmer. Game finished 0-0. A good view of the old Burnden Park. The previous year many had died whilst attending a game at the stadium. ^^ Quality fotos..wasn't those Wembley entrance pics highlighted live at the '86 FA cup final or are they earlier? 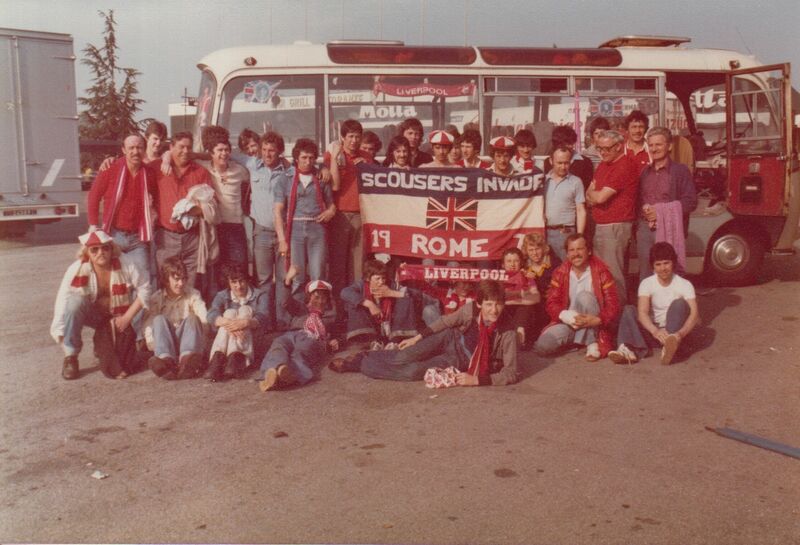 That banner is from the 70s with the British Leyland reference. I'd say before the 78 Wembley Final. V Bruges. 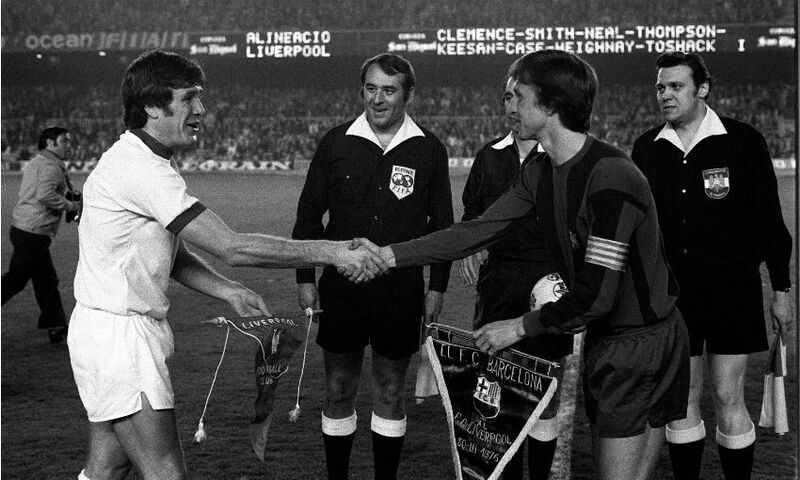 ^^^ Medellin I think the 86 Merseyside cup final also. My stub got 3 or 4 lads in that day and the lad gave it me back after. Top top day. Titled 'Bunking into the Kop at Anfield' no date info.